West Functional Chiropractic offers a comprehensive corporate wellness program designed to help your employees to eat better, move better and think better. 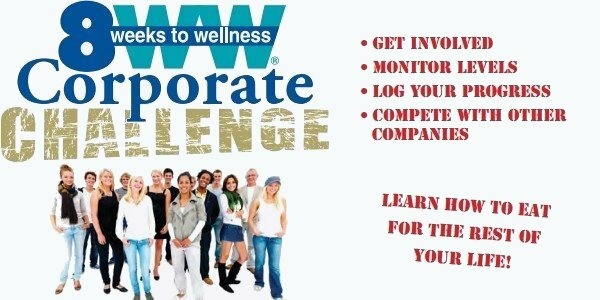 We use the proven 8 Weeks to Wellness Corporate Challenge program. This program has proven results of creating weight loss, blood pressure changes and major health modifications through our 8-week online tutorial program. This is both “Hi-Tech and Hi-Touch”, as the program is run and presented in part, by Dr. West when she comes to your company. This program is set up for a fun, competitive atmosphere that delivers significant results that are quantifiable and will result in lower costs to insurance premiums. The results are measurable physiologically as well as visible. This program can accommodate large corporations of 1,000+ or small businesses. An online or printed manual is available that details all the information that the employee will need to understand the “why’s”, ‘how’s” and “what’s” of the 8WW Challenge. There is a fee, per person, to participate, however the successful results make this the most popular service item we offer. Please call West Functional Chiropractic at (940) 668-8755 to get started.